Did you know that God created you with a distinct purpose in mind? Understanding and embracing that purpose is the key to experiencing true freedom and fulfillment. 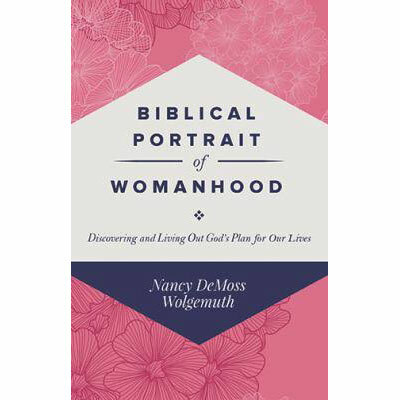 Nancy DeMoss Wolgemuth highlights specific Scriptures that reveal God's design for our lives as women. Through a series of penetrating questions, discover how well you are fitting into His plan. Learn practical ways that you can influence and "build up" the lives of those around you through your attitudes, words, and actions. Nancy DeMoss Wolgemuth is the author of Choosing Forgiveness, A Place of Quiet Rest, Lies Women Believe, Walking in the Truth, A Thirty Day Walk with God in the Psalms, Brokenness: The Heart God Revives, Surrender: The Heart God Controls, Holiness: The Heart God Purifies, and she co-authored Seeking Him, an interactive Bible study on revival. She is also the general editor of Biblical Womanhood in the Home. Her books have sold over 1,000,000 copies. Nancy is also the host and teacher for Revive Our Hearts and Seeking Him, two nationally syndicated radio programs, heard each weekday on nearly 1,000 radio station outlets.